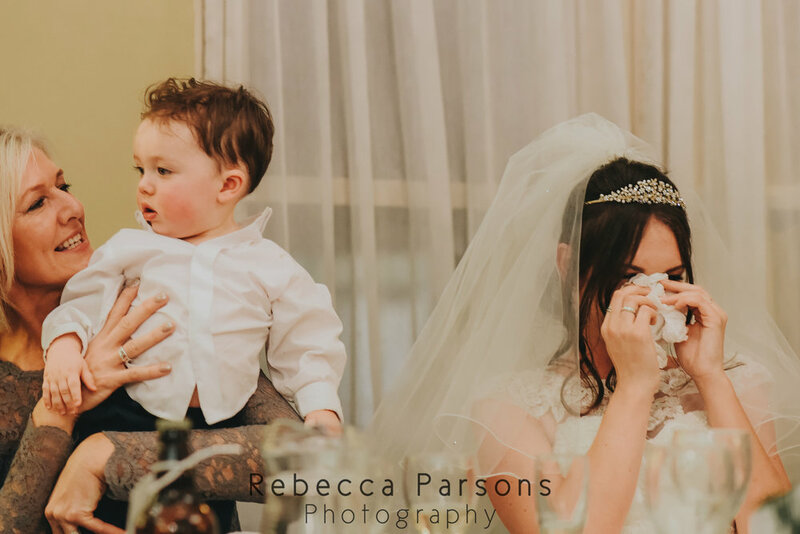 Jen and Jack’s Yorkshire wedding journey started with a beautiful Christmas Day proposal complete with a little help from baby Barney. 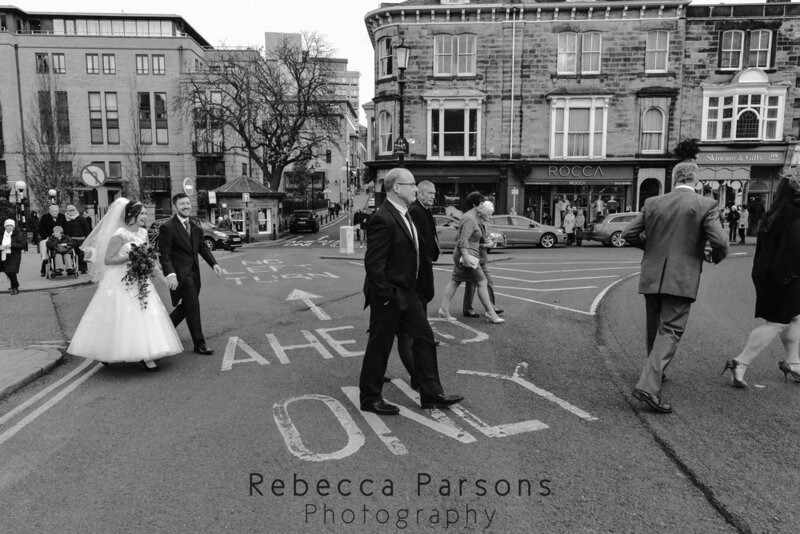 True to their Yorkshire roots, they chose to be married at the Crown Hotel in the centre of picturesque spa town Harrogate. 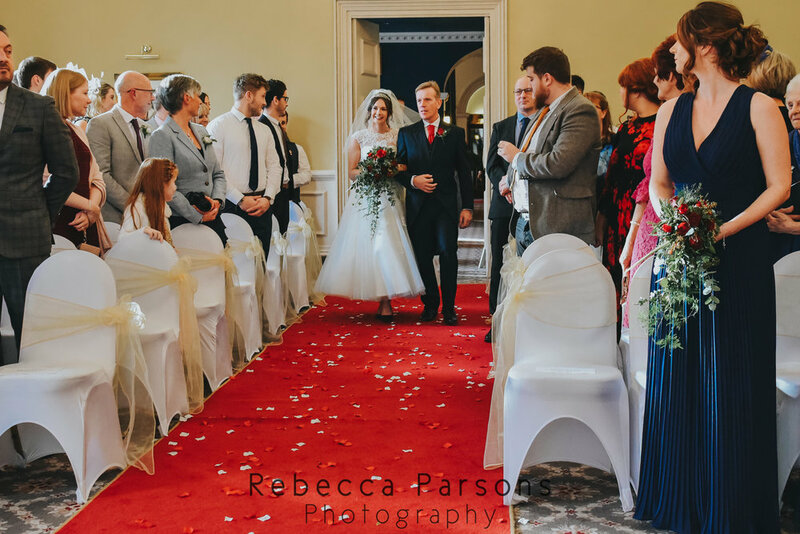 This venue is in such a lovely location, nestled between the cobbled Harrogate Streets and surrounded by historic architecture. 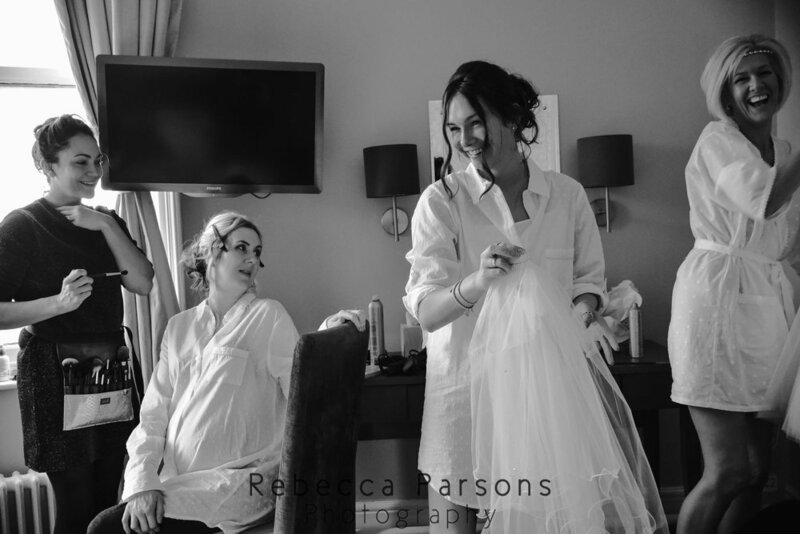 On the day, bridal preparations took place in a suite of the Crown Hotel overlooking the scenic Montpellier Gardens. 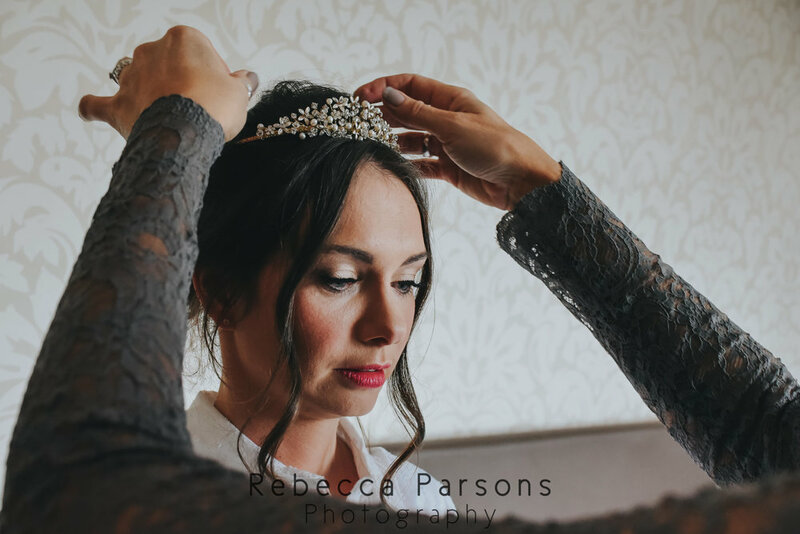 The mood was relaxed and happy as the hair and make up for the bridal party and our lovely bride were perfected by the talented Hannah Joy. 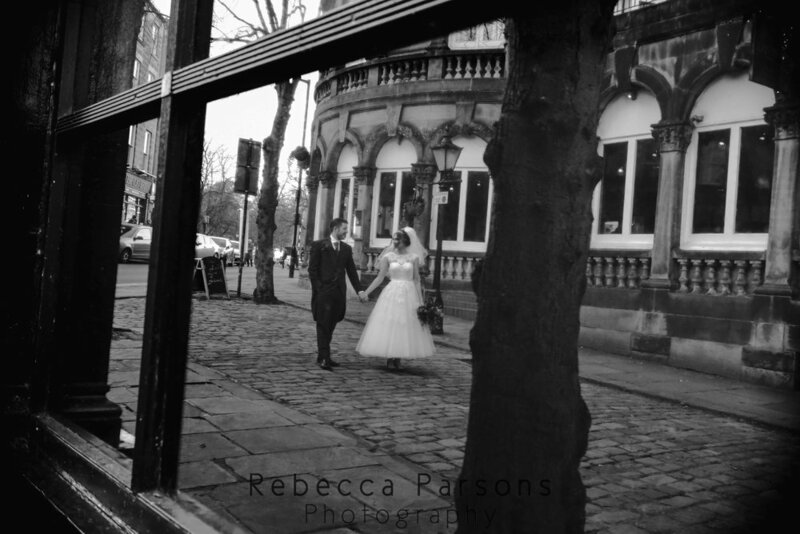 The weather was beautiful on this Winter’s day in Harrogate town centre. 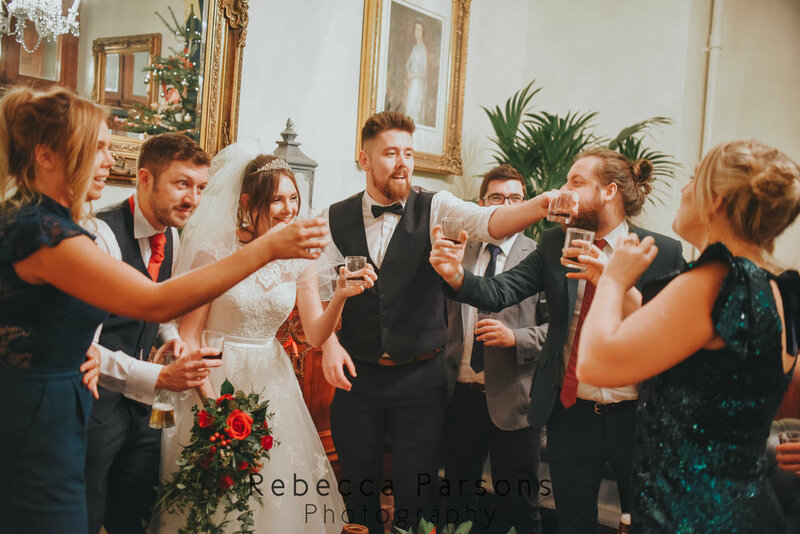 Jack and his groomsmen enjoyed a drink at Harry’s Bar in the Crown Hotel wearing their Grooms Rooms suits, while waiting for the arrival of the wedding guests. 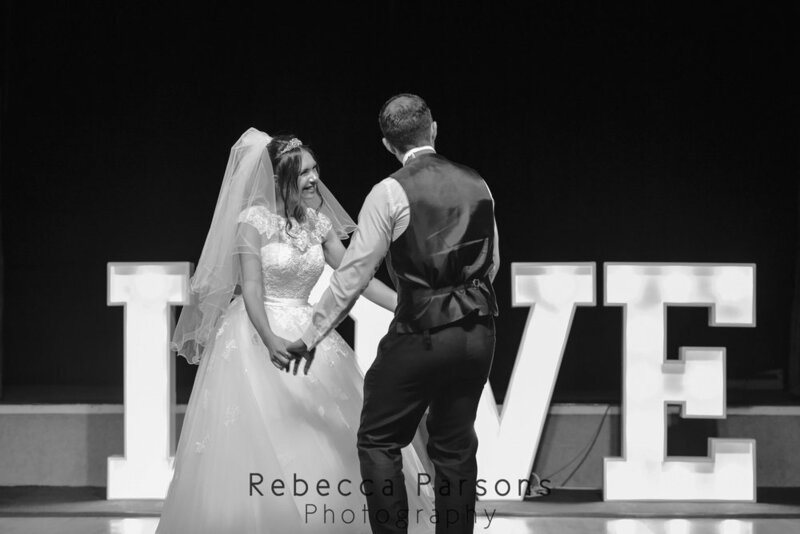 Jen wore a gorgeous vintage style dress from Cottage Bridals. 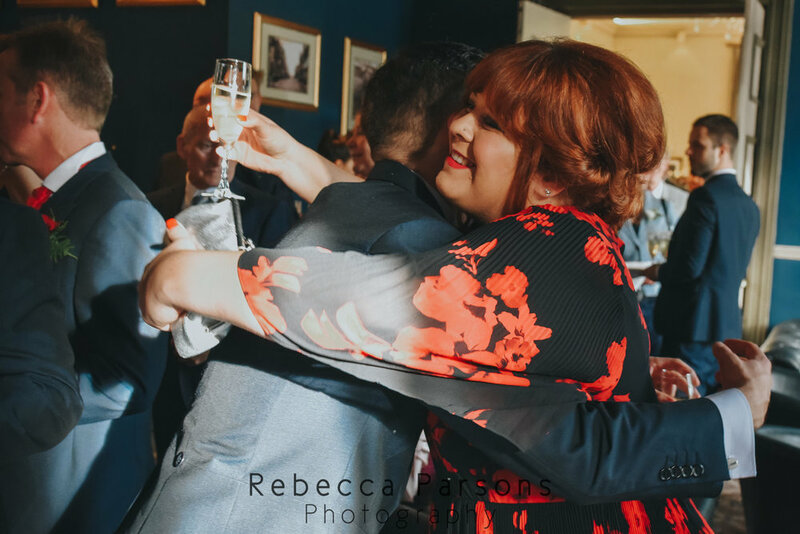 It was complemented perfectly by her stunning navy Jenny Packham shoes. 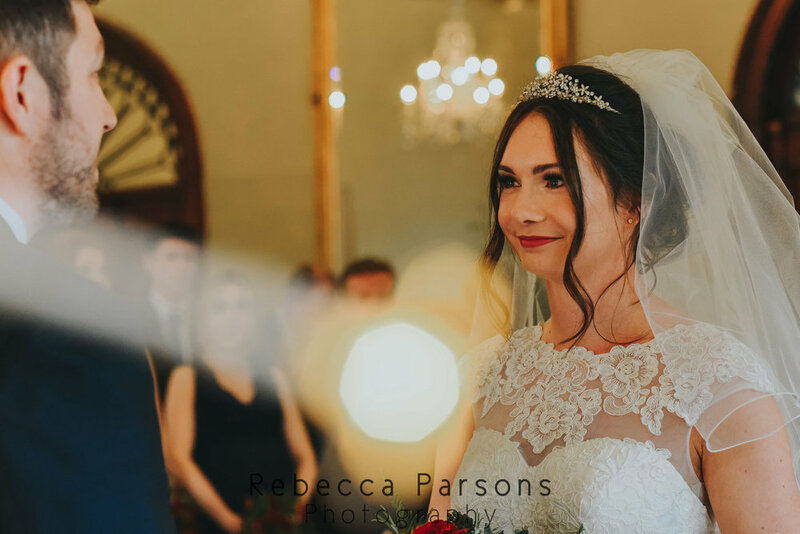 The bridesmaids wore ASOS dresses in different shades of dusky pinks and lilacs, carrying the most beautiful bouquets flowers by the Blackburn Florist. 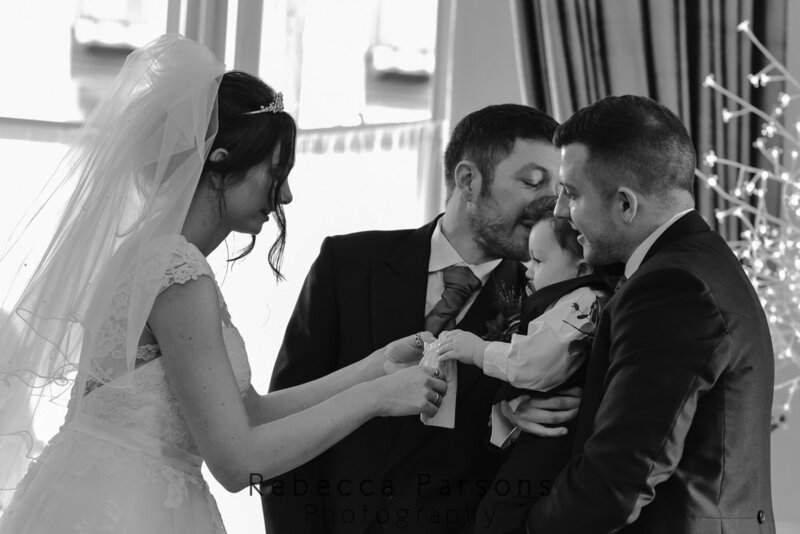 The service was as relaxed and joy filled as Jen and Jack. 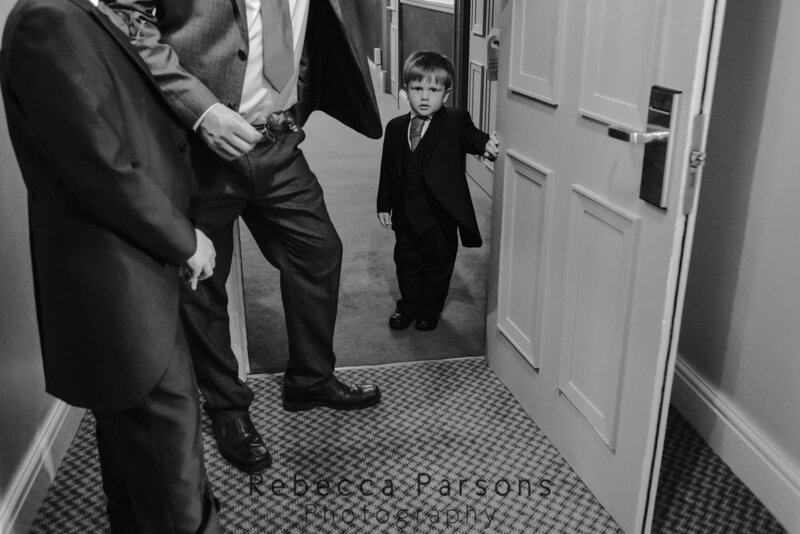 Their beautiful son Barney ensured plenty of laughter as he crawled the width of the room to investigate what was going on. 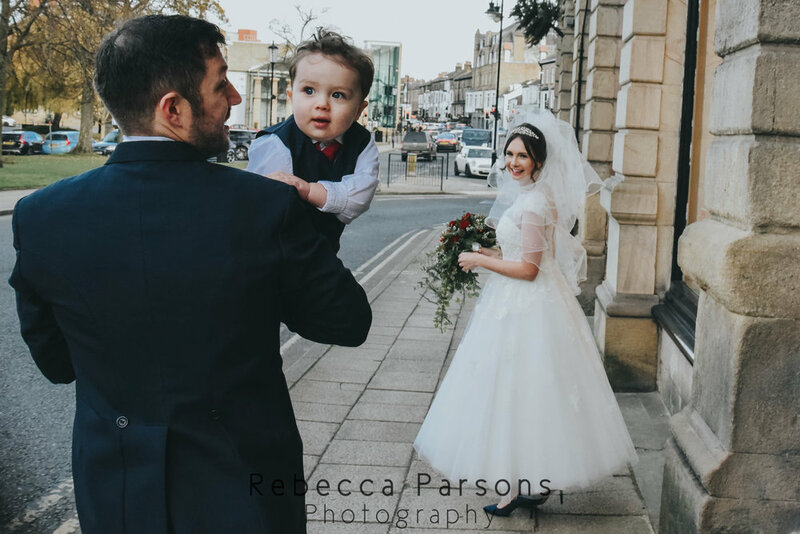 After saying their vows, Jen, Jack and Barney left the Crown Hotel for a relaxed walk through the cobbled streets of Harrogate, where we took advantage of the historic Victorian arcades and chocolate-box town centre for some stunning photographs. The speeches were incredibly moving and I can honestly say that there was not a dry eye in the house (me included!). It wasn’t long before the evening guests arrived and the party continued. 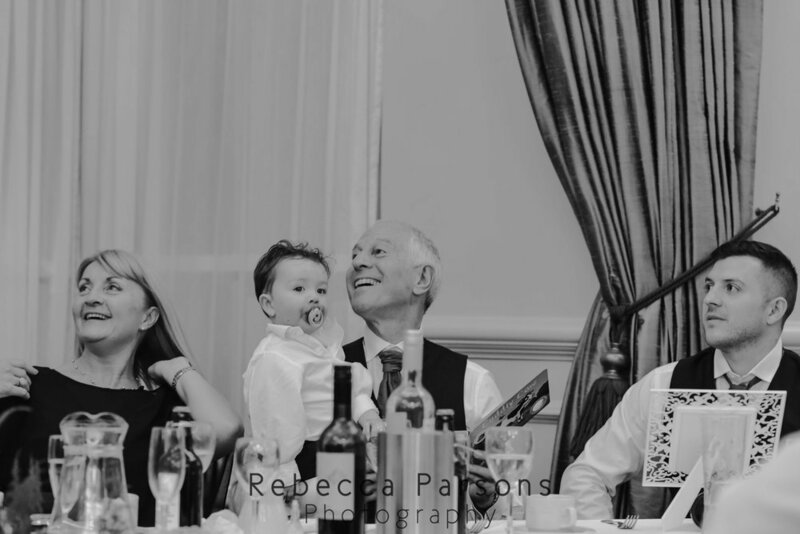 In keeping with the sheer happiness of the day, Jen and Jack chose the smile bringing ‘You make my dreams come true’ by Hall and Oates for their first dance. Not a slow dance couple, they soon had their guests up and joining in with the dancing. 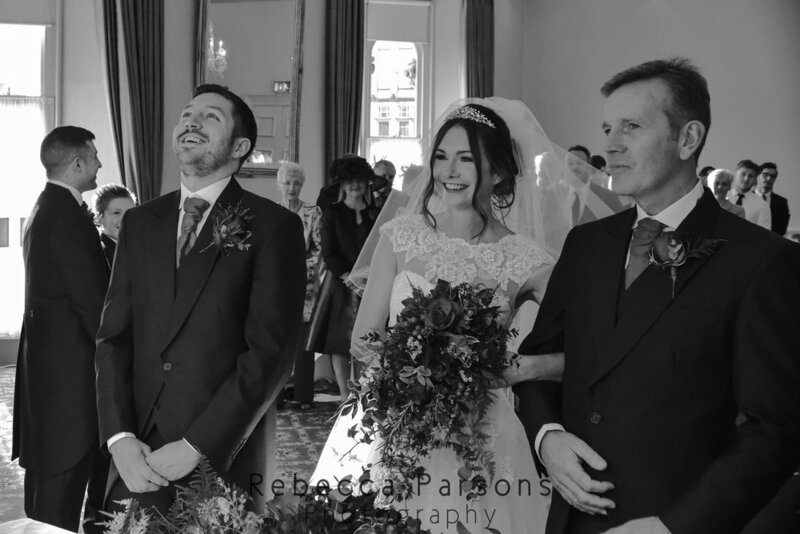 This fabulous day at the Crown Hotel in Harrogate was all kinds of wonderful. 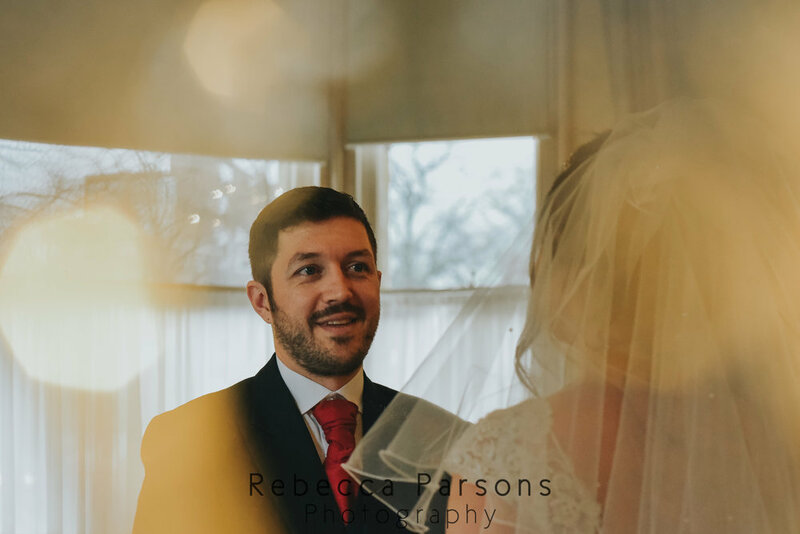 This venue was the perfect setting for a winter wedding filled with love and laughter.